There is no way you can know what your short life on this earth (in mama’s belly) has meant and will always mean. You were and are a “Bright light” to us. Though you were here for only a brief moment, your precious life was and will always be an exponentially important moment to us, your family. In the time you were here, Jesus used your precious presence to destroy years of damage and detriment. Although we knew you really weren’t here, we will always be thankful that you did not ever have to taste the ugliness of a sin-filled world because Jesus ushered you immediately into Glory. We don’t know if you were able to see the beauty and absolute peace as we wrestled hard, agonizing over your passing. If you were able to see, you truly witnessed what Jesus did in that moment through the miracle of you. Your life will never go unhonored, without the deepest of meaning. In one precious moment, the gift arose, a chance to show you love. I was not going to lose this moment, I will bathe my(our) sweet Lena. As I washed you, dried you, dressed you, I knew it only for one moment in time. This I can do, Thank you Jesus. This I will do, Hold me Jesus. Thank you for this gift divine. As we said goodbye to you, sweet Lena, know that it truly was the hardest moment we have ever had to face. You’re in Heaven with Jesus our Lord and Savior. Please know that we miss you and long to be united again with you. Saying goodbye is hard and not something we thought we would ever have to do, but when we see you again in heaven, we will rejoice with you and our king together, forever. In reality, we did not say goodbye but, “We’ll see you soon! Sweet Lena,” which was truly a bittersweet moment. And at the moment we see you again in glory, and Jesus’ face we’ll behold, He will turn the bittersweet into something captivatingly wholesome and pure. Your momma loves you so; I love you so and Turner David loves you so. You are a “bright light” to us and to so many around you. The moment we see you, all things will be perfected. Your life, God’s purpose, none left unaffected. 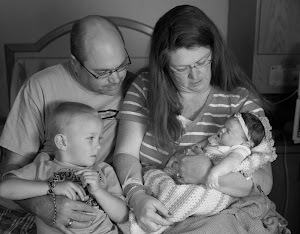 We love you and miss you Madilyne Eleahnah Margaret, our sweet, sweet Lena.